Upcoming events which the Club is either organising or attending. Please be aware that to take part in some events you may need to take action before a deadline. We look forward to seeing as many of you as possible over the coming months. 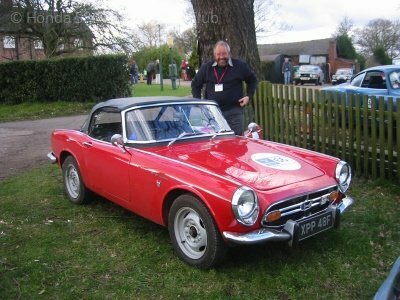 For the annual FBHVC Drive It Day we are looking to attend the annual Bicester Sunday Scramble. Entry tickets are £5. We do not have a formal Club space as we anticipate only a handful will attend this event, however, with entry tickets at only £5 the lack of a discount shouldn't put people off!With our older cars we will have access to the display parking within the Technical Centre — handy in case it's a wet day!Please note — entry to the event has to be pre-booked — you cannot just arrive on the day. 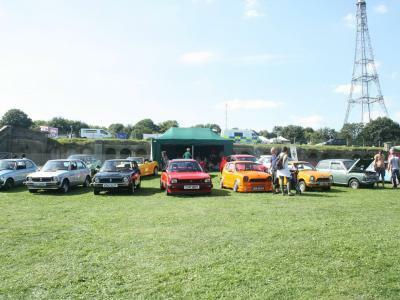 To book your ticket(s) please click here.If your car is off the road you can of course take other vehicles — just let others know if you will be there via the Forum so you can meet other members on the day.For a glimpse of what the event is about — click here. Our 2019 AGM and Social Weekend details are now LIVE!The DateThe weekend starts on Friday 10th May and finishes on Sunday afternoon 12th May.Location.For our 41st AGM weekend we are heading to the Stratford on Avon area which is very central for most of you. Hopefully this will make access as easy as possible to the widest number of our members.The 2019 hotel is the: — Ettington Chase Hotel,Ettington,Stratford-upon-Avon,Warwickshire,CV37 7NZ(Just Click Here — and zoom in or out to see the location).More pictures of the hotel can be found by clicking here.The hotel is set in 11 acres of grounds and includes a Leisure Club with indoor pool, Jacuzzi, gymnasium and sauna as well as an outdoor tennis court. Plenty of reasons to make it a two day stay! Room Rates.For 2019 we have secured a single room rate of £69 whereas the doubles are £79. In both cases this includes breakfast.AgendaThe weekend agenda is intended to allow as many members as possible to come and take part. The formal AGM will be on Saturday afternoon but for those who choose to stay on Friday we will head off to a local venue on Saturday morningOn Sunday we are returning to Prescott Hillclimb to take part in the charity car show. 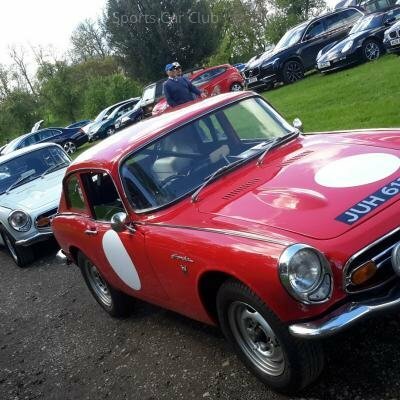 There is also the chance to have a run up the hillclimb itself — and at extra cost you can have a much faster run up the hill!The full Agenda is:-FRIDAYArrive at Ettington Chase. Early afternoon will best avoid the traffic — and you can then enjoy the Hotels facilities.7.30pm: Informal Dinner in the Restaurant.SATURDAY10.00am: Set off for Broadway Tower with morning coffee and then Lunch at the Morris and Brown cafe. Opportunity to explore Broadway Tower with magnificent views of the Cotswolds and/or explore the restored underground Nuclear Bunker (extra cost about £5 a head each item).By 2.30pm: Return to the Hotel for the Formal AGM at 3.30pm.7.00 for 7.30pm: Annual Dinner followed by prize giving and return of the legendary quiz.SUNDAY9.30am: Leave for Prescott Hillclimb where Club members (and family/friends in the same car) have FREE access to the Annual Charity Car Show.Lunchtime: Processional run up the Hillclimb course.Option to buy additional runs up the hill (all day) for £40 — reduced from the usual £55. (Please let us know right now if you want to take this up. )4.00pm: Show and Hillclimb event closes — time to make our way home.Business element. Formal AGM Notice. 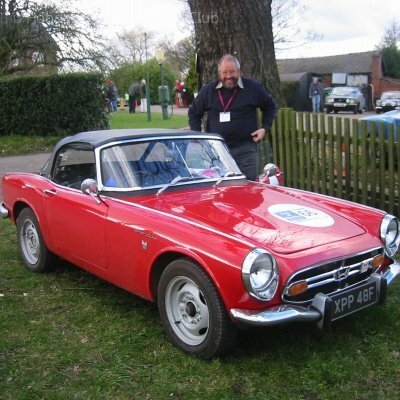 Our 41st AGM will be held at: -Ettington Chase Hotel, Ettington, Stratford-upon-Avon, Warwickshire, CV37 7NZAt 3.30pm on Saturday 11th May 2019.Any Agenda items to John Tetley by 4th May 2019 please.The formal AGM is always an important occasion giving you chance to discuss the running of the Club and its future. On its own the formal AGM could be a stuffy thing — but we have wrapped it into a fun weekend for some 40 years now!We are having the AGM itself on Saturday afternoon. This avoids the need to set off early to attend a morning meeting or the need to book an extra nights accommodation.What do you need to do?Firstly you need to decide if you need a room on Friday night as well as Saturday night. The format of the weekend is flexible so that members with less free time can attend the formal AGM on Saturday afternoon and the annual dinner on Saturday night, as well as hopefully partaking in the fun on Sunday.Once you have decided which nights you want to stay you will need to make sure you have a room at the hotel although you can just attend the AGM if you want without the need for any overnight accommodation.How to book. For 2019 we have an excellent room rate of £69 B&B per night for a single room and £79 B&B per night for a double room. To book please ring the hotel direct on +44 (0) 1789 740000 then option '2' then option '1' and quote our booking code of 75225 to get our preferential rates. From overseas dial the 44 and drop the '0'. From the UK just drop the 44 but use the '0'.Remember; you do not need to pay right now, a credit card will reserve your room, so don't delay. We suggest you ring now whilst you have the details to hand. 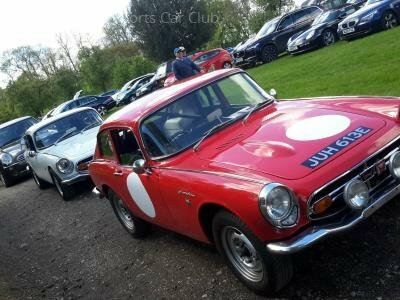 This event now forms the Sunday 'Funday' element of our 2019 AGM!Quite a number of us attended the car show and hillclimb on Sunday as part of the AGM weekend at Prescott in May 2017. Well it was so good we are going back again in 2019!For the more adventurous there is the chance to have a series of untimed runs up the hill. You can go as quickly as you feel comfortable with because the marshals will not release the car behind until you are some way up the hill. This will cost an extra £40 (must be pre-booked).If you just take part in the static display there is the chance to have a processional run up the hill near lunchtime, or you can just chill with your car in the paddock area, chat to friends and look around the eclectic range of classic and racing cars.Prescott is one of our most favourite of places — it is a very scenic compact venue set on the edge of a beautiful valley in the Cotswolds. The hillclimb has a series of technical corners which really suit the compact form of the S800 and as a spectator it is easy to wander from corner to corner to get a different angle on the action. The paddock area is open to the public where the cars can all be seen and to top all this there is a great cafe — and ice-cream!The event combines all that a motoring enthusiast could desire — a classic car show, scenery, teas and coffees, food and some track action. Those who choose to take part in the static display do have the option of a cavalcade run up the hill.Whichever aspect of the event you take part in is up to you — either a static display, a cavalcade procession up the hill or a day of faster (untimed) runs up the hill.We will make sure that every entrant to the 2019 AGM weekend has the chance to attend Prescott so a separate entry for the Charity Car Show won't be needed. We do need you to let us now now if you intend to take part in the hillclimb activity during Sunday at an extra cost of £40. 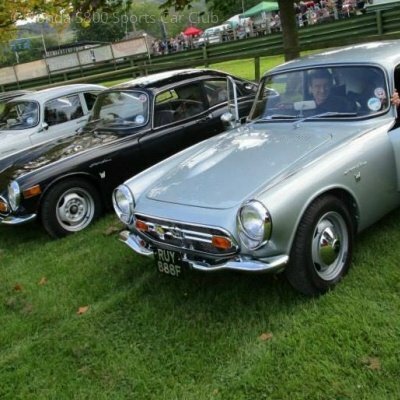 The 2019 Weaver Wander Charity Classic & Sports Car Event2019 WEAVER WANDER — The date has just announced as the 18th May.The 2018 Weaver Wander will take place on Saturday, 18th May 2018 and starts from Nantwich Town Football Ground from 08.00hrs. with the start again taking place in the centre of Nantwich from 09.15hrs. As usual the cars will be flagged away by a local dignitary in front of the cheering crowds! The organisers are planning to have 3 separate routes around Cheshire ending up at a new venue — Hankelow Hall. Two of the routes will comprise around 70 miles each and there will be a shorter route of approximately 40 miles for older vehicles.Long-standing members may recall this venue was used as part of our 2007 AGM.To take part please click on the following link...http://www.weaverwander.co.uk/ and navigate to the 'Click Here' for the entry form.Remember — its all for charity and is an excellent way to use your car in like-minded company! Anyone fancy attending a Honda specific car show and track day right here in the North West of the UK?Hot on the heels of your Chairman and Website Secretary talking to the Three Sisters owners at the Autosport Show in January 2019 about how ideal this twisty circuit would be for the S800 — then there is an event organised by Mimms Honda at the very circuit in question!You can attend for £13.50 and see the various Hondas on display as well as view the track action — or you can join in the track action if you wish at extra cost.Entry is strictly by pre-booked ticket only and you can add 30 minute track session slots at a cost of £30 (if you wish) — again all booked in advance.Full details are on the Mimms Hondaday website — click here to go to the Three Sisters event ticket booking page. (NB — we do not have a formal Club stand at this event).When the spaces are gone the event will be full and no late entries or day entries are allowed — so please book early if you wish to take part. The Crystal Palace Sprint event grows in popularity each year and is now nailed to the calendar in its traditional Bank Holiday slot at the end of May.Honda Heritage will be there and have extended an invite to our members to come along and support the Honda contingent at this sprint event.Alan of Honda Heritage advises that they been invited back for the 8th year in a row and hopefully between us we can put on a good show of early Hondas including the S800, Z600 and N600/360.This year there is limited sponsorship so the usual free tickets are not available. 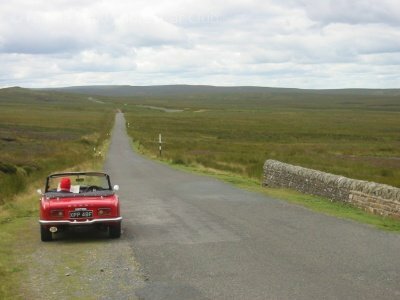 Entry costs are £5 per car per day. If required there is free camping for weekend.There is also accommodation available in the Parks Athletes Lodge which offers bed and breakfast at a very reasonable rates (about £30 — details for this are to follow shortly). On site there is food stands and a beer tent and within a ten minute walk you will be in Crystal Palace with many excellent restaurants and real ale pubs so there is plenty for all in the evenings.The event has its own web link — just click here http://www.motorsportatthepalace.co.uk/ The contact details for Alan are: — hondaheritage.co.uk@gmail.com or 07757 409389 (no texts please).So a great event combining motor sport, car displays, socialising and bags of chat about old Hondas — please contact Alan now as he always puts a lot of effort into this event. 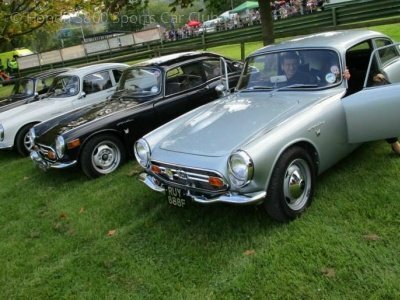 We are invited to take part in a Classic Car Run all in aid of the Hope House Charity. The start and finish venue is Hope House at Morda, SY10 9BX with optional bacon butties and tea/coffee. The cars then return from about 12.30 to Ellesmere College, Ellesmere, Shropshire, SY12 9AB.Entry costs just £10 per car until 1st May then £15 afterwards — but be aware that the event sold out last year well before the event took place.More details can be found by clicking here which will take you to an online booking form. 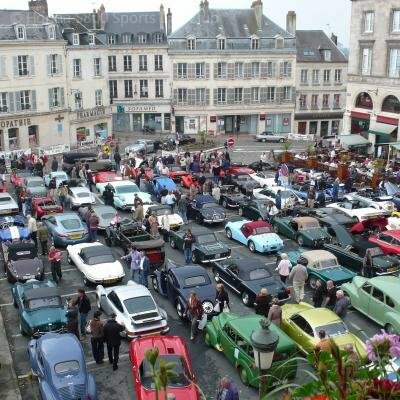 This event dates back to 1991 and has grown hugely from the first year when only 30 cars in total took part.These days a huge cavalcade of up to 600 cars descend on the mediaeval town of Laon in Northern France. Your Club first went to this beautiful mediaeval city in 1996, which was quickly followed by 1997!We revisited it in 2008 — and now over 10 years on it seems right to take in the delights of this rural area of France.Do you want to take part in an overseas trip? 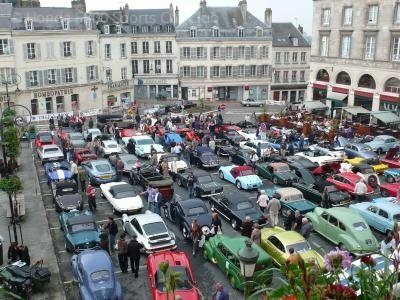 The travel company we use are Scenic and Continental Car Tours and the link to their 2019 Laon trip can be found by clicking here.Further details from the organisers are posted here in English.If you have never ventured 'abroad' with your classic Honda this is a good event to 'break your duck' as it is relatively easy to get to and located in a rural part of France where volumes of traffic are low. 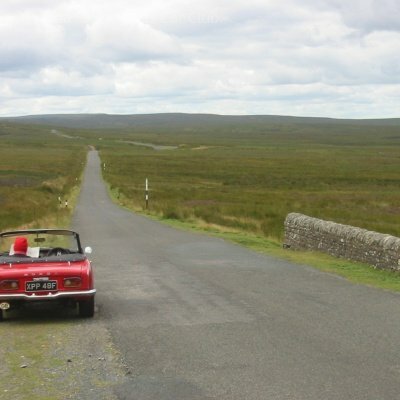 The whole region welcomes the classic car visitors with open arms making this a very popular and special event.Couple this with the bargain prices on offer by Continental Car Tours — and it's almost cheaper than staying at home!